It is not the world that changes after ShivYog, but it is our perception of the world that changes. The pineal gland secretes ambrosial nectar which is not yet known to science. Self-acceptance will allow others to accept you and self-love will allow others to love you. Padmasana, vajrasana, etc create a natural triangle (pyramid). Naam anek, sabka maalik ek, sabhi santh ek math, sabhi siddho ki ek hi bhaasha. Acharya is one who says what he thinks. So an Acharya only says the truth. ShivYog sadhaks are aware of their prarabdh. Shubh karm se vairagya (mukthi) aur ashubh karm se 84,000,00 yoni. ShivYog sadhak should first give healing to the home and make it 100% positive and 0% negative. Gather Sanjeevani and send energies. Make yourself so positive that the house becomes positive. 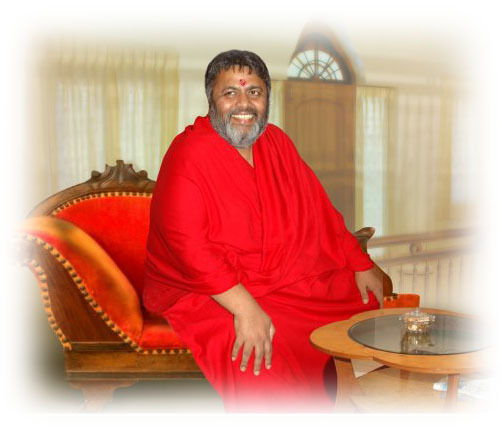 ShivYog sadhak’s house are clear of vastu dosha, graha dosha, etc. Internal factor - Gather Sanjeevani shakthi and send. Whenever you go to meditate anywhere, just send unconditional love to all gods, animals, planets, nature, etc and that will go with the Sanjeevani. Never say any ill words; even it has to be said do it in a positive way. When in certain cases giving unconditional love becomes a problem then being strict or stern is fine but it should be only from the outside and not really from within. If I can produce illness, I can produce health. In places where old people and children (family) are together, there Lord Shiva prevails and Siddhas meditate there. Though should be pure to create Sanjeevani.Be aware all the time. Be in the present all the time. Think only good and positive thoughts at all times. In times of negativity do sadhana or mantra jap. Heal by forgiveness, gratitude, unconditional love. Sathya jaisa punya nahi aur jhoot jaisa paap nahi. God forgives you of all your sins but not your central nervous system. Own 100% responsibility for whatever or however you are. Use common sense not ignorance. You are divinely guided in many ways though many things. Sanjeevani energy (siddha healing) comes through the sahasrar and flows through anahata and through the hands and fingers. Unconditional love through Lord Shiva’s anahata (shambhavi healing) comes through the sahasrar and flows through agya chakra – the God frequency energy. Three lessons for all souls under all circumstances – Acceptance, forgiveness and unconditional love (First these have to be practiced on the self). You do not know other’s soul agenda, then why do you want to change others? They have their own soul plans and lessons to learn. Like energy attracts like energy. In ShivYog the divine energy converts all kind of energies into divine energy. Your karma burns and so does the karma of other’s who come in the vicinity of a ShivYog sadhak. In cases where a soul whose agenda is not to be divine, it will be repulsed and moved away. Any incident has only 4% impact but the rest of 96% are our reactions to the incident. If you learn to control the way you react to incidents, that means you have control 96% control over the incident. Whatever you think upon, Sanjeevani is sent there. Positive thoughts will be manifested and negative thoughts will be neutralized (Sanjeevani wasted). Black magic is “maili vidya” not tantric where lower vibrations are used. Whatever has low frequency has no strength. Again, it depends on how you react. When you think negative, you vibrations go to the darker energies/darker world and thus darker forces are attracted. We thus attract our own black magic. You create the bridge for it. A ShivYog sadhak will never say he/she is under the influence of black magic. He/she will never take the credit for healing too. Atma shakti is the biggest power that has the power to cut any karma (this is greater than siddhis). Let go of all old principles/methods and do sadhana which will remove your sanchit karma one by one. If you want to increase your healing power, never take the credit for healing. Never allow anyone to touch your feet. When you remain humble and give credit to God then many sanchit karmas are released. Healing increases by giving more healing. Whenever in trouble or grief call Babaji for assistance. Surrender to your guru with all your self. Do seva in guru’s ashram whenever possible or whenever there. When karmas are heavy even a palace looks like a hut and when karmas are cleared even your own family members you disliked will look beautiful. Shaareer mila hai karm bhogne ke liye nahi, par karm kaatne ke liye. (You have received the body not to bear the karmas but to release the karmas). In one sadhana many lifetime karmas are burnt. How to differentiate between sleep and meditation – When body falls asleep then body becomes heavy and in meditation body becomes lighter. If you feel light after getting up from meditation then you have been in the astral world (successful meditation). Religion is not bad but the problem comes when one has to follow the followers of religion. Good karmas (punya) reach 7 generations and ascension happens. All gurus have some purpose and have been assigned with some responsibility by the divine - babaji has been assigned for healing. Every morning you can join Babaji in meditation from 6 a.m. to 6:30 a.m. Heal only one person at a time. In nature, the Sun is capable of burning karmas. ShivYog sadhak can clear all type of doshas with Mruthunjaya Sadhana. Use woolen asana with a clean cloth over it and use a secluded place for sadhana where there is no movement of people or disturbance. Siddhas are taught alchemy (process of changing mercury to gold). Learn to tap from the Universe. The consciousness of Sanjeevani is more higher than our consciousness. We only have to request it and it will do the needful. Those who do sadhana devotionally to Lord Mruthunjaya, can never be affected by anything. Maya will test you with all kind of circumstances and if you remain strong, then you will gain victory. Faith in the self and faith in the super-self are very important. Bring it out with emotions. Siddhas done have the permission to make or change anyone’s will or interfere with anyone’s karmas. They only can guide and assist. Do Shambhavi sadhana for graha dosh or vastu dosh and then install yantras. Nishkam sadhana, seva and sankirtan should be part of everyday’s life. Seva should be done hidingly without anyone’s knowledge. If you ever have to tell other’s anything, tell them your negativities. Sadhana should be hidden. If revealed then the gains can be lost. All punya (nishkam seva) should be kept to within. As you get more powers get more humble. Atma ko saadh na his sadhana hai. If you work less for whatever you are paid for then it is theft. If 100% is the pay and work you do is 90% then 10% is theft. So always work 110% which adds as punya. Whenever you do a karm, do a holistic (doing the work of God) karm then you won’t be a thief in work. Gem 31 says that 'sadhana should be hidden,if revealed all d gains r gone' pls, can you explain in detail? I am bit confused as I hv discussed before. Dear Urmil. Only the guru is authorized to teach and only he can bless you with this sadhana. Do attend a shivir and take deeksha from Baba. Namah Shivaya. I have newly created a google account too and you can use that too to send me the pictures.